Viruses infect all cellular organisms and even parasitize on other viruses within a host cell. They differ by folds in terms of their size and genetic information. V-table is a new approach in structuring knowledge about viral diversity. The structure of V-table is based on placement of viruses with similar sets of characteristics near each other. 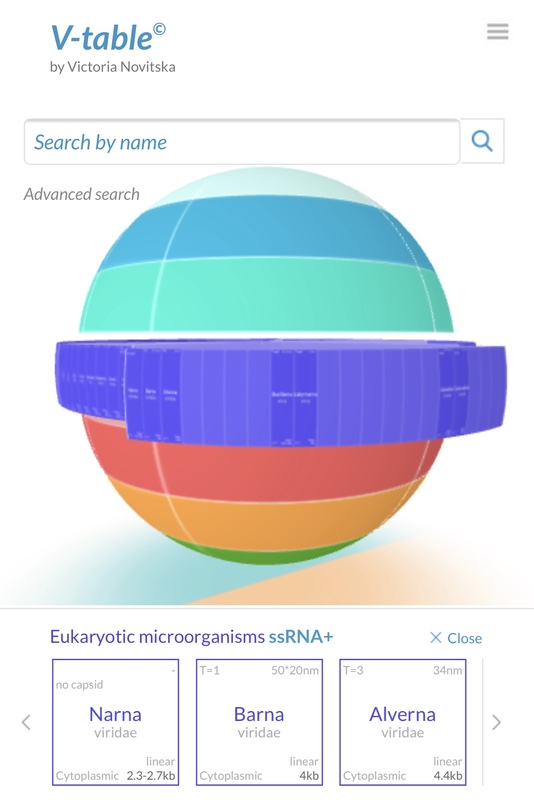 V-table is a tool simplifying learning and understanding virus diversity.